We managed Smith & Nephew’s distributor network in Latin America from 2008 through 2011 and delivered more than 400% increase in profitability. This growth was achieved by converting the #1 trauma distributor in Chile, Winning the Costa Rica national tender and expanding markets in Argentina, Ecuador, Uruguay, Venezuela and Colombia and Brazil through targeted support to distributors and the establishment of KLEOS branded training. As a result we received multiple awards for Outstanding Sales Growth. 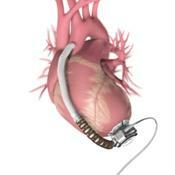 HeartWare International, Inc. is a medical device company developing a family of implantable Left Ventricular Assist Devices ("LVADs") for the treatment of advanced heart failure. We served as Interim CEO and worked with the venture capital partners to prepare the company for an Initial Public Offering in the Australian Securities Exchange. The Company is now listed on both the Nasdaq Stock Market and the Australian Securities Exchange (ASX). The IDPA (IFR) is the economic development agency for the autonomous economic region of Asturias Spain. We developed the medical device economic development plan and coordinated introductions of medical device manufacturers in the United States and Latin America. The result was an expansion of medical device manufacturing and international trade for the region. 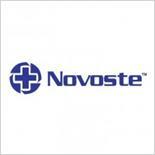 Novoste Corporation asked us if we could help them with their staffing needs. What made this assignment different is that as pioneers in vascular Brachyatherapy they had very esoteric skills requirements for both medical device and nuclear industry experience that proved hard to match for conventional recruiters. Our response was to develop a skill matching time based quantitative model linked to a recruiting plan. The model allowed us to demonstrate the impact of not having a resource to optimize the hiring process and outsource work when a skill set would not be a required core competence. Using this model we placed over fifty employees ranging from Directors and nuclear specialists to production operators and managed the outsourcing of noncore skill sets such as process validation, technical writing, and technology assessments. Our approach saved Novoste significant time and expense and allowed them to focus on their core business during a period of explosive growth. © 2000 Tecnix, LLC. All Rights Reserved.